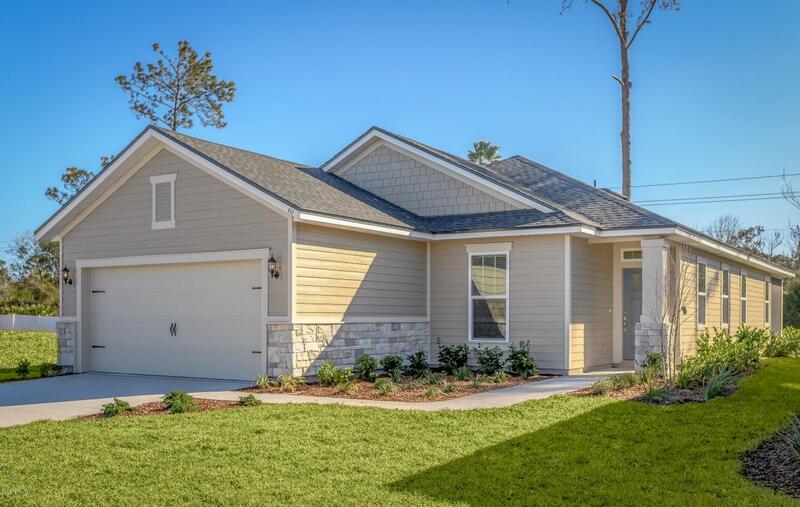 This new construction, craftsman style one story home is nestled in the quiet community of Villages of Valencia, just minutes from historic downtown and public beaches. With an open layout and 9 foot ceilings, the Neptune floor plan maximizes on every inch of space. Wood plank tiles line the main living areas, with soft carpet in the bedrooms. The classic but luxury kitchen includes white cabinets with soft close doors and drawers, stainless appliances and granite countertops.